Talk about having your head on a swivel! 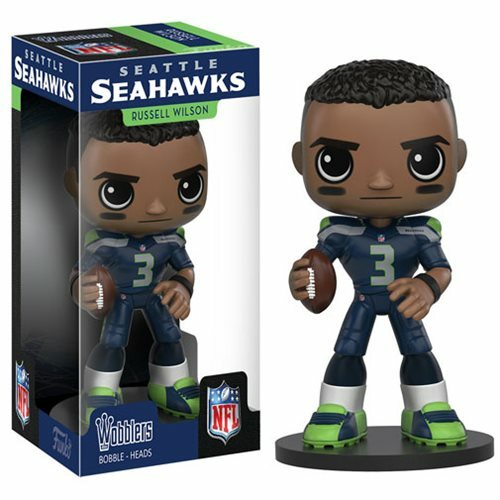 This NFL Russell Wilson Wacky Wobbler Bobble Head features a stylized look of the star quarterback of the Seattle Seahawks in his head bobbing glory! The NFL Russell Wilson Bobble Head stands about 6-inches tall atop a display base and comes packaged in a window base. Ages 3 and up.